ODM have many years of experience in promo gifts and one of our strong areas of emphasis is drinks market. This blog with give an overview of how to advertise better using LED bar promotions. From bar owners to those who are responsible for drinks marketing, bar promotions are an extremely important choice. When you are searching bar promotions, the LED coaster/ LED ice tray/ LED cocktail stirrer serve as great products to meet these needs. Not only increasing the recognition for your brand but also boosting sales volume. 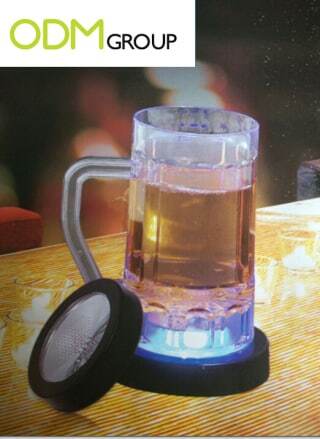 LED coaster would light up your brand in the bar at night. 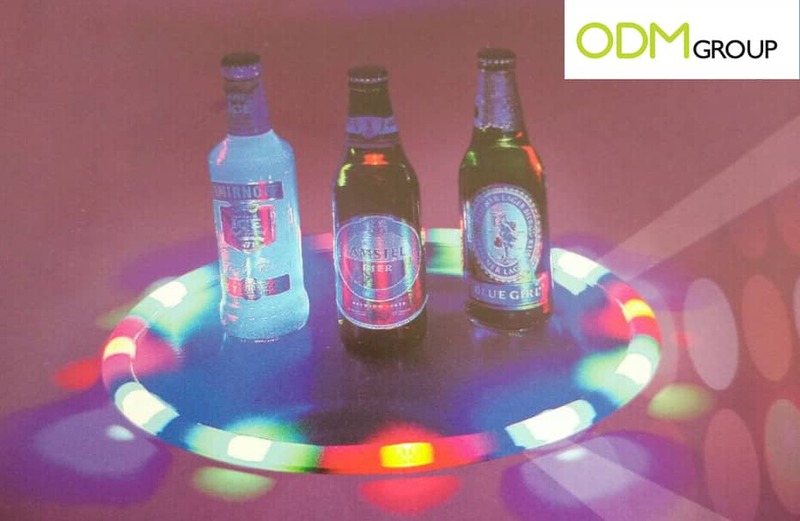 The bright lights emitted from the LED Coaster are a great way to catch the attention of your customer. The shiny marketing gift can be customized into different shapes according to your unique ideas. One of the advantage is that it is cost effective and affordable. It’s available in both a color changing multi-colored option or in the solid white LED light variety. As soon as you put the drink bottle down on the pressure sensitive surface, the LED Coaster comes luminous. Why do we love the use of an LED ice tray for bar promotions? LED ice tray is made of eco-friendly material. It’s stylish design can fit all types of glasses and bottles in any bars, restaurants, night clubs, etc. Compared with normal serving trays, LED tray’s uniqueness lies in the colorful lights to catch your eyes as well as leaving good impression of your brand. 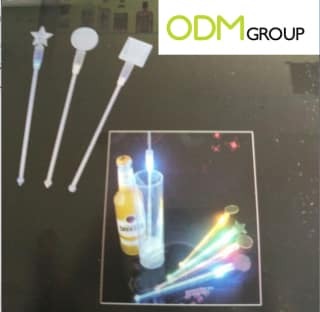 How do LED flashing cocktail stirrers serve as a marketing gift? The LED cocktail stirrer is made from food grade plastic material. It serves well while illuminating your brand with different shapes. The gift offers a great option for customization! 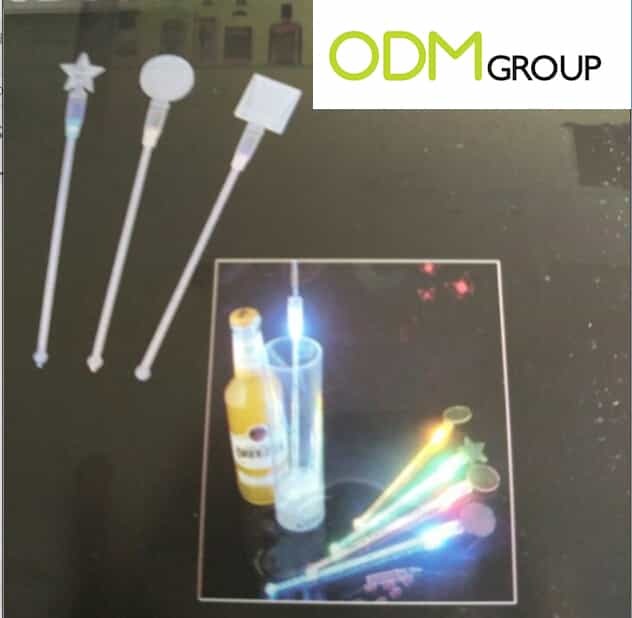 The LED in the cocktail stirrer comes in wide range of colors and thus you can select the colors that suit your promotion best! Top 15 LED Promotional Gift Ideas for everyone!